Art with Goldie | Some of the deets to help you through. Think about what interests you, what you love. 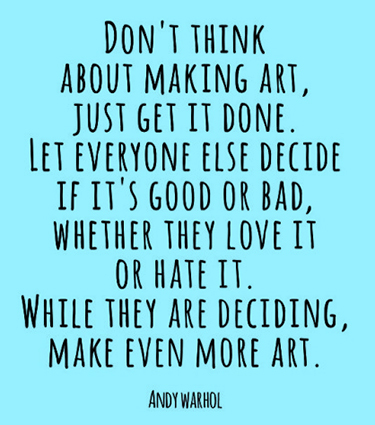 Make art with that in mind. Take risks with your art. Push yourself. Get feedback on your work. Be open to it. Art has power. What stories do you want to tell with your art? Dabble with different media. Learn how to do something new. Mix it up. Learn about the artists who came before you, and who’s making art now. If you want a break from making art, talk to me about a research project. Photograph your work. Make an online portfolio. Repeat after me: Project sheets are the best!